I discovered a new book at the library the other day. I was actually looking for another book by author, Bob Staake (LOVE his books! 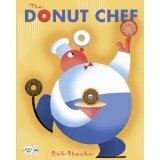 ), and came across, The Donut Chef, instead. The minute I saw the book, I knew I had to take it home to read to my boys. While reading it to my eldest, my mind was spinning with ideas! So, the very next day, I set aside my plans for my first graders, read the book to them and followed the reading with some super fun activities. 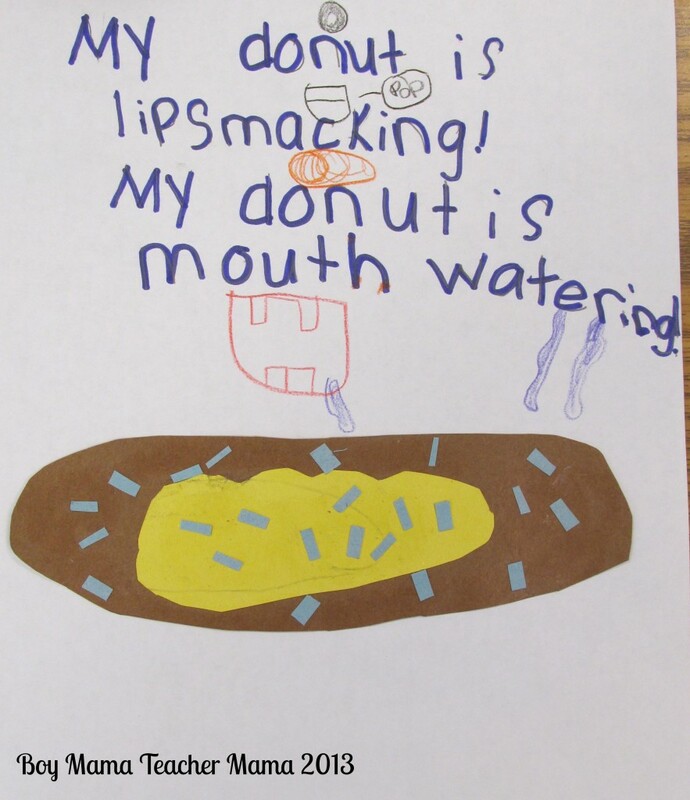 First we talked about donuts. 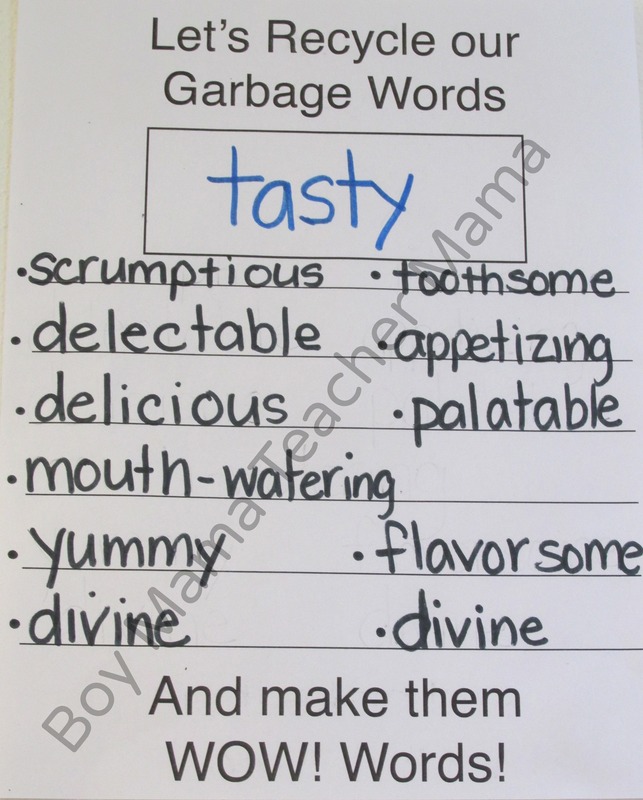 We shared our favorite kinds. We graphed our findings. 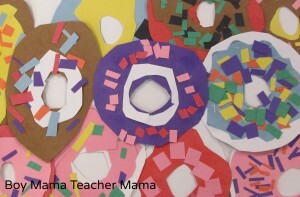 Then I asked the students to create their own paper donuts. 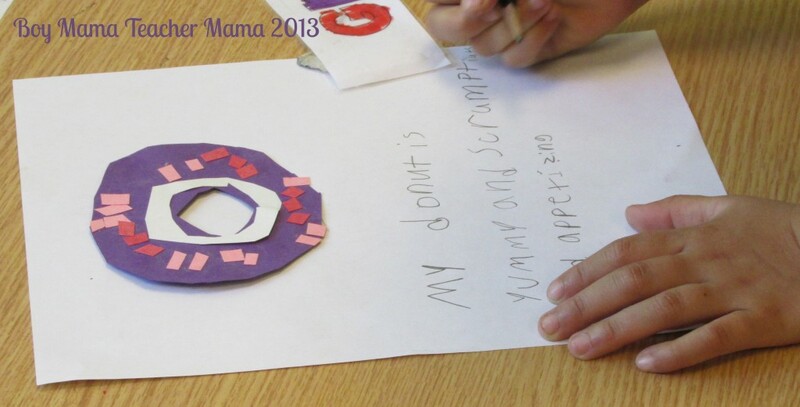 I even made a paper donut box to house the donuts for our next activity. 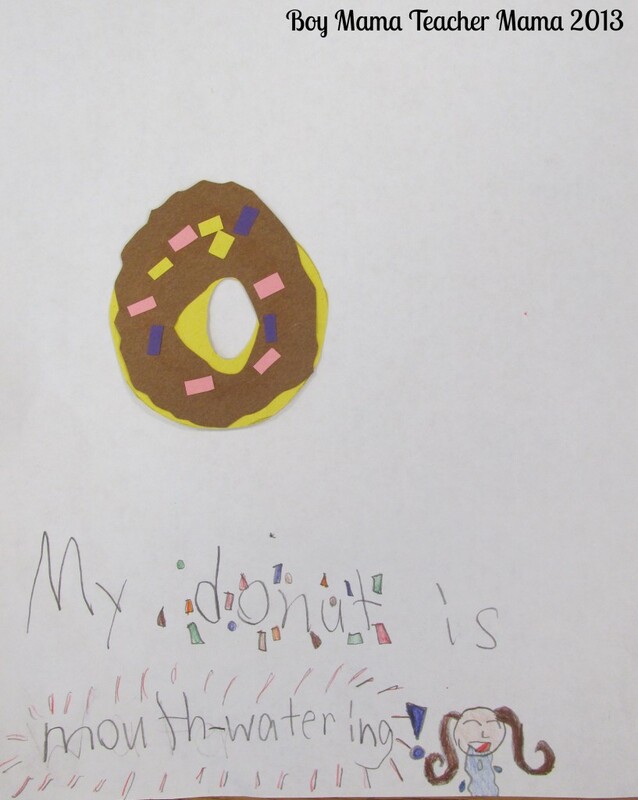 After all the donuts were completed, each student shared his/her creation with the class. Then we talked about the concept of a dozen (12), a half dozen (6) and a Baker’s Dozen (13). 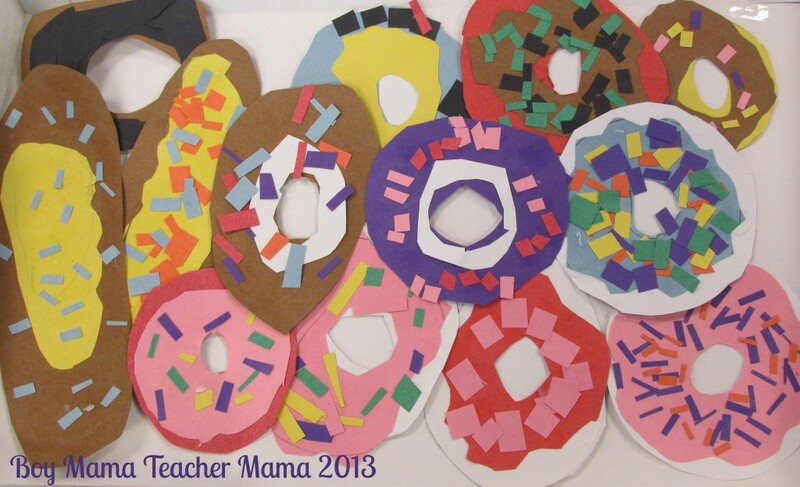 We took some time to create dozens, half dozens and Baker’s Dozen with our paper donuts. 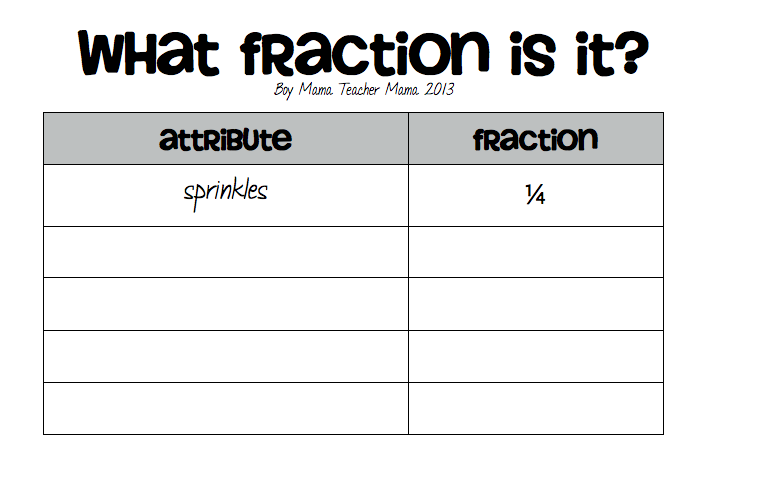 I then shared a bit about fractions with the kids. This was way above their heads at this point, but with older students, it would be a wonderful way to explore fractions. For example students could determine the answers to the following questions and record them on the paper below. What fraction of the donuts have sprinkles? What fraction of the donuts are round? Long? I then had the children glue their donut to a piece of paper and write a sentence about how their donut tastes using a more descriptive word. Below are some student samples. Write a descriptive paragraph about the donut they created or their favorite type. 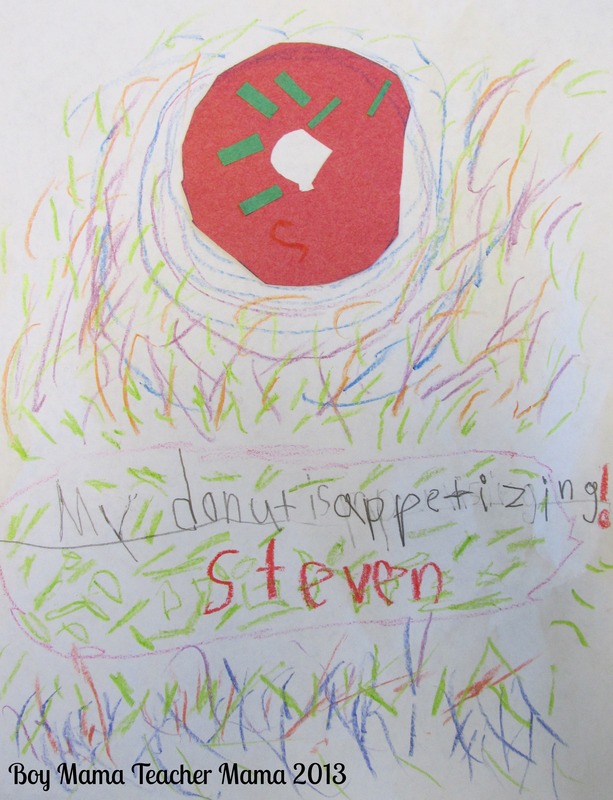 Plan, draw and describe your own donut shop. 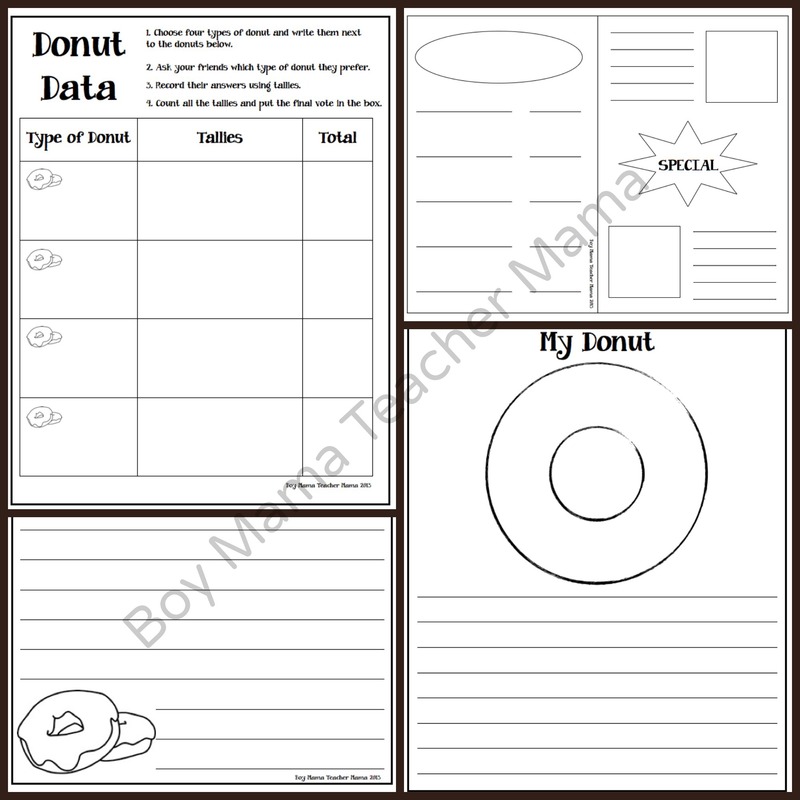 Create a donut shop menu. 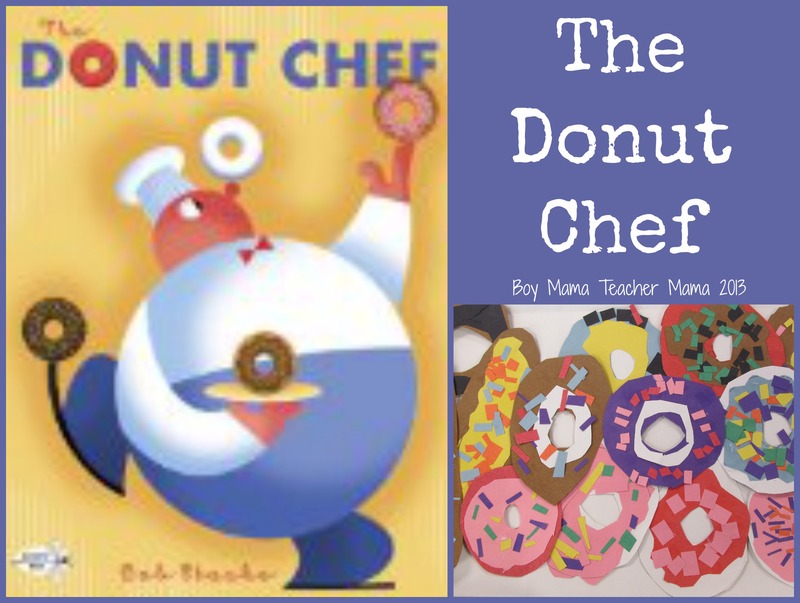 The activities for The Donut Chef are available for purchase. 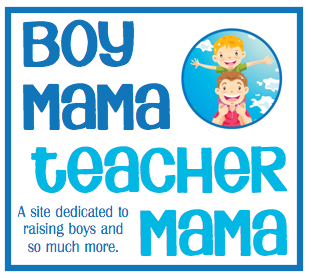 Click the following link for details. Thank you so much for reminding me of this book! As a former pastry chef, it really made me smile, and my son LOVED it, but I had totally forgotten about it. 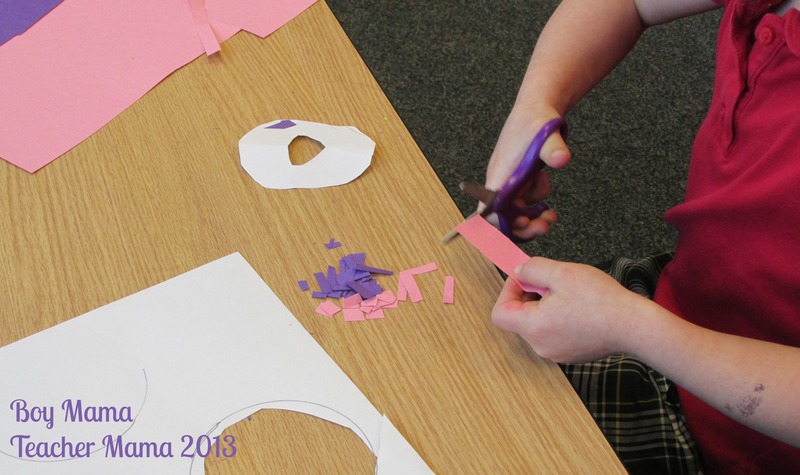 I think we’ll have fun doing something inspired by your activities…how fun!! So glad it made you smile! This was a new book to me last spring and is now a favorite in our home! These look like fun activities for children! 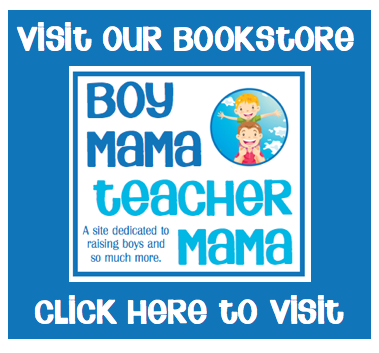 Thank you for sharing on Mom’s Library!